When it comes to suspension components Bilstein is a household name. 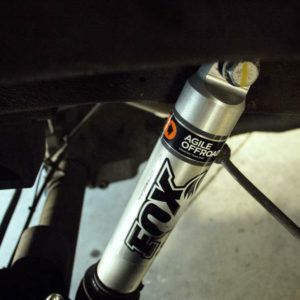 Whether you’re looking to replace your worn existing front struts or upgrade to a better performing pair Agile Off Road has you covered. We stock both the OE replacement Bilstein B4 ‘camper suspension’ struts & the upgraded Bilstein B6 units. Bilstein B6 struts are the ideal choice for improving the performance of any vehicle. These struts feature a monotube design which provides consistent fade-free performance. Bilstein B6 struts utilize a unique, velocity sensitive, digressive piston which reacts to changing road conditions to provide consistent fade-free performance. All B6 struts are tuned for each specific application to assure optimal performance is achieved. Bilstein B6 struts offer a significant improvement in ride quality, handling, and comfort. Fit Notes: Fits 2007+ 2WD Sprinter 2500 vans only. Unfortunately there currently isn’t an aftermarket front strut available for 4WD Sprinters.